When water is hard, it can clog pipes, damage boilers and ruin heat exchangers along with many other components. Water softening can prevent these negative effects. Hard water causes a high risk of lime scale deposits in industrial, commercial and household water systems. Calcium and magnesium are often referred to as "hardness minerals". Softeners mainly remove calcium (Ca+2) and magnesium (Mg+2) ions. Various types of hardness removal softeners with different control and automation options are available from Corodex. Materials of construction of softener vessels include rubber or special epoxy coated steel, stainless steel and polyethylene lined fiberglass. Ion exchange resins used are only from reputed manufacturers to ensure consistent production of soft water. 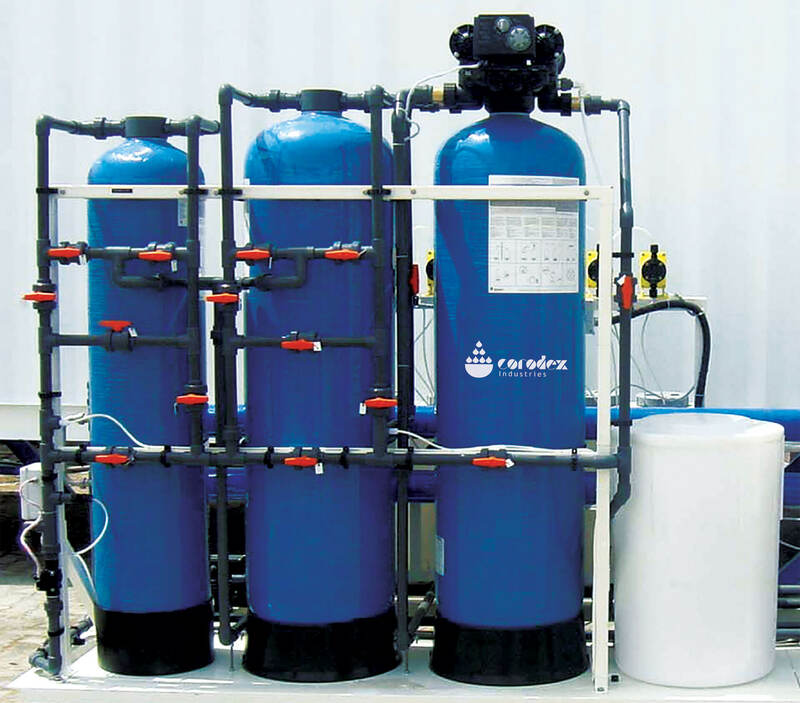 Single, twin, duplex, and multiplex softener configurations are available, running on intermittent or continuous mode of operation. Timer and meter initiated regeneration processes are available, using standard softeners, heads, stagers, or PLC based control systems. In special cases, where raw water hardness varies, an on-line hardness monitoring system may be provided to initiate regeneration mode.